Owner Mark Hopkins and son Steve Minino. Marque Custom Builders is a family owned and operated business, dedicated to quality, value and service. Family run and family owned, Marque Custom Builders provides the highest quality, value and service in Omaha. Among the Omaha metro’s most respected new home builders, our projects are marked with elegant craftsmanship and superior communication from start to finish. The team at Marque Custom Builders understands that you are an individual with unique requirements for a new custom home. By working together, we can design and build a home that suits you, your lifestyle and your needs. Our diverse projects range from individuals looking investment developments to couples and families looking to build an exceptional home. Our attention to detail sets us apart from other Omaha custom home builders and is demonstrated in all we do. From the relationships we build with our clients, suppliers and trades people, to the quality of inclusions and finishing touches… we guarantee excellence in each home we build. With an unmatched quality in his homes, owner Mark Hopkins ensures a lifetime of enjoyment for you and your family. His “hands-on” approach ensures that no detail is missed and no corners are cut. Most of the vendors, contractors and other trade partners have been with Mark for 10+ years, giving Marque Custom Builders an experienced and dedicated team of professionals tasked to build your new custom home. We believe you deserve dedicated attention when building your dream home. The years of knowledge Marque Custom Builders can offer is priceless. Mark would say that he “has been there and done that” when it comes to building homes, and he’s proven it time and time again! Mark has seen the highs and lows of the market and knows what works and what won’t. He brings unrivaled expertise to all his home builds, ensuring he is not only saving you money, but also time and headaches throughout the process. Marque Custom Builders is a family run business. 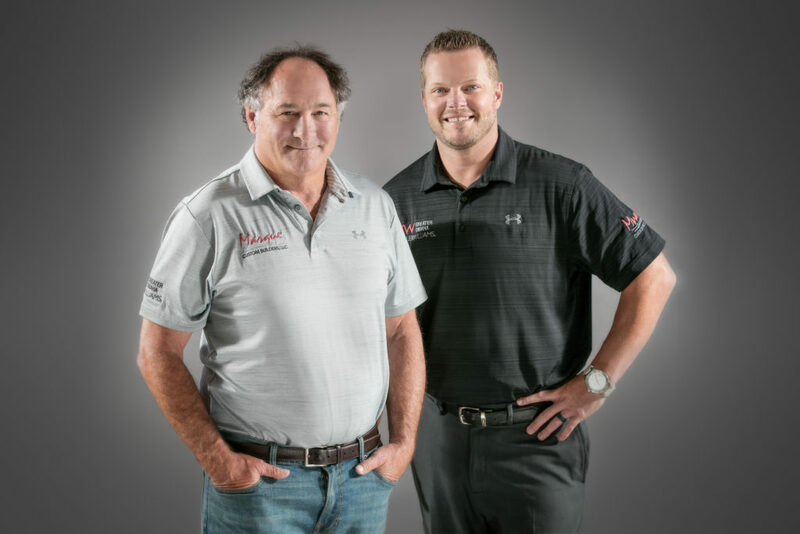 Mark’s son Steve acts as his representative and his nephew Rob is the general contractor on all custom homes. Mark’s wife Deb and daughter-in-law Jenny help run the everyday details of the business, making this a true family affair! The motto “Let our family work with your family” rings true throughout the process. There is no middle-man when it comes to Marque Custom Builders. Mark is always available and believes the process starts and finishes with him. The importance of reaching your builder in a timely manner and knowing that they will have a solution to any problem cannot be understated during the new home building process. Subscribe below to begin building our relationship. Also, receive insights and updates from Marque Custom Builders.